Founded by Ray Mehaffey in 1968, Monaco began as the Caribou Manufacturing Company in Junction City, Oregon. In 1971, the company produced the "Monaco" -- a mini-motorhome with luxury features, which became a best-seller. In 1974 Eugene Oregon mayor Brian Obie bought the company and changed its name to Monaco Motor Home Inc, focusing solely on the production of motorhomes. In 1977, the company was renamed Monaco Coach Corporation. In 1987, Monaco was sold to Warrick Industries and has remained one of the nation's premiere manufacturers of high-end diesel motorcoaches. 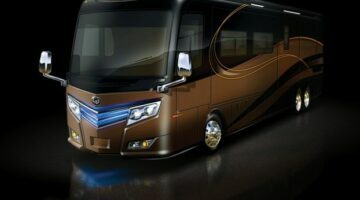 In 2010 Monaco was sold to Allied Specialty Vehicles (now REV Group). 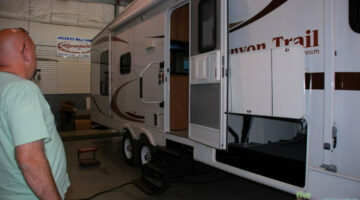 Today, Monaco RVs are made in Coburg, Oregon (towables) and Decatur, Indiana (motorhomes). See photos and little-known facts about Monaco motorhomes from people who've owned one or driven one. Highlights of Monaco’s new Safety Cruise which tracks up to 20 vehicles around you and decides when to slow down in order to maintain a safe following distance from the vehicle in front of you. 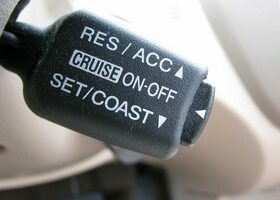 Plus, a variety of other RV cruise control issues discussed. How Much Fuel Does An RV Generator Burn? 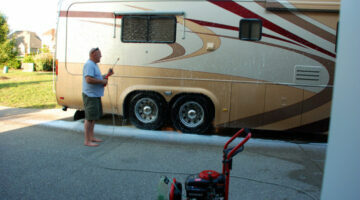 Most RV owners these days are over 55, BUT… people aged 35 to 54 are on the rise. It’s almost equal at this point. 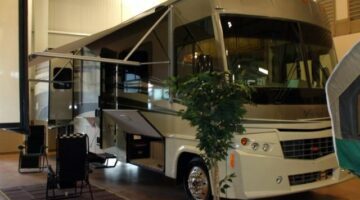 A growing list of all of the RVs and motorhomes that we have driven… during our search for ‘the perfect RV’. Here’s a list of the most unique features that make Monaco coaches stand out from all the rest.